Wild About Words! 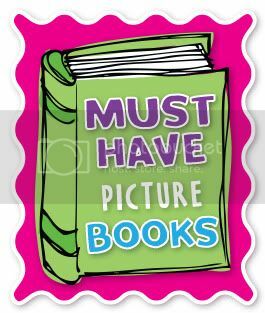 : Must Have Picture Books Linky! Ohhhh this is my favorite thing to talk about! One of the reasons we decided to go back to self-contained this year is to be able to more flexible schedule our day and include more read aloud while integrating vocabulary in a more natural way. I love picture books, especially with the fifth graders who think they are just too cool.....then ask, "Can I read that?" or complain when you miss read aloud time! Sooooo, here are my TOP 5 FAVORITES! This was a tough list to compile! This is a true picture book- no words. I have had the greatest conversations with my fourth and fifth graders though! Basically, there is a naughty magpie, a set of hands, and a set of magic pencils. The objects the pencils draw come to life, and the naughty magpie gets a hold of the pencils. With lots of clever solutions, the hands ultimately win! The illustrations are phenomenal! This was an obscure find on a discount shelf and I use it every year for story structure, sequencing, cause/effect, and summarizing. 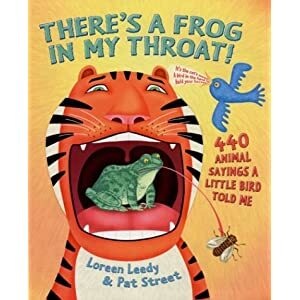 This book is more appropriate for fourth grade and up, but you will laugh out loud (literally) reading these short scenarios. 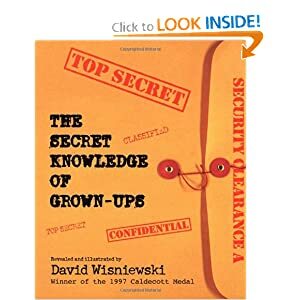 Each scenario starts with a "Top Secret" folder that reveals the real reasons behind every day rules. My favorite is: Eat your vegetables. Official reason: They're good for you. Real reason: To keep them under control. The story continues by showing the evolution of what used to be man-eating vegetables. Collage illustrations engage you from the start. I've used this for several years when developing classroom rules. We twist the rules and figure out the "real reasons" for the rules we have developed. Hysterical results! This is a pretty popular one already, but I just can't read this story enough. With Janell Cannon's beautiful illustrations and beautiful theme, it's a story for all ages. Stellaluna is a character the kids can relate as she tries to fit in as the "different one," and ultimately learns that you don't have to look the same to have something in common. Check out my explicit instruction vocabulary unit- kids dig a lot deeper into a story they know well. 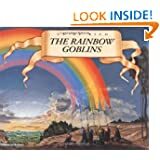 There's no plot, but lots of pictures so I stick it in my favorite picture books to teach with file! Teaching figurative language interpretation in reading and use of it in writing can be tough. With this book, the kids can't get enough and will be using them in excess! Great illustrations! Thanks to "The Teacher's Wife" for starting this linky! I am totally getting Magpie Magic! I've been trying to build up my wordless books in my library for teaching inference. You will love it...the pictures are great and there's a million ways to practice inference to be sure...good idea! I love Stellaluna! Such a sweet book. I am a new follower. Enjoyyyyyy....glad to offer a few new suggestions! Hah...cute name TGIF! Check out Verdi and Crickwing too if you haven't already...they are just as sweet. She has a way of making scary critters lovable hehe...Thanks for joining! I love it and we use it for just about the whole school year. Did you know there is a sequel? Just as great! I am a new follower! I wanted to let you know I nominated you for an award on my page. Visit P.J. Jots! Woohooo! I like awards hehe...Thanks for joining! 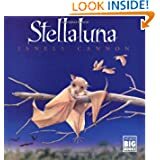 Stelluna is one of my favorites to read during my Halloween Science Unit (have to make it educational you know) Thanks for sharing your list! Hooray! I just found your Blog!!! Thanks for sharing your choices! STOP by anytime and become a follower. SMILES!!! !